Bird Dog Whiskey blends the finest aged white oak barrel Kentucky Bourbon Whiskey with all natural flavors to create a smooth, easy-drinking whiskey. At 80 proof, Bird Dog Whiskey offers a variety of amazing tasting flavored whiskeys – Peach, Hot Cinnamon, Maple, Apple, Chocolate, Spiced, Jalapeño Honey and the original Blackberry. With an assortment of flavors, Bird Dog is perfect straight up, on the rocks or in your favorite cocktail. 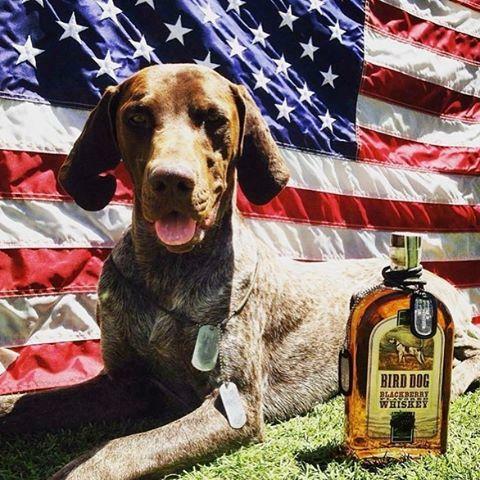 Bird Dog Whiskey – this dog don't bite!